Spectrasonics Omnisphere has become an essential piece of kit for so many sound designers, synthesists and musicians. The options and l..
Spectrasonics Omnisphere has become an essential piece of kit for so many sound designers, synthesists and musicians. The options and library of sounds presented are simply mind blowing but it has an interface that is fun to use and explore. 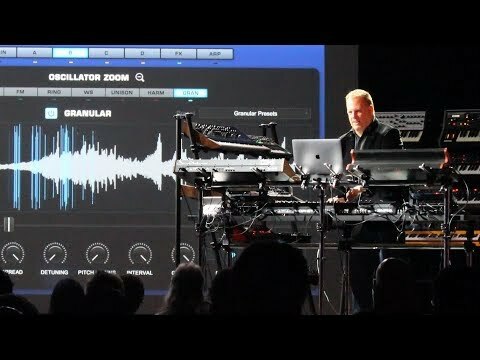 Thanks to all the new features, including additional waves, filters and new wavetable synthesis options there's even more possibilities to create your own unique sonic signature. That's just the beginning however, Omnisphere 2 has opened up and become a complete synth tool kit. Among the many new features is audio import so you can use your own soundsources within the Omnisphere engine, lots of new waveforms, wavetable and granular synthesis, additional sounds and FX and enhanced browsing functionality. Version 2.6 adds an enhanced Arpeggiator and dramatically expanded Hardware Synth Integration, with support for over 60 Hardware Synths! This update adds brand new profiles for such iconic synths as the Roland Juno-106, Alesis Andromeda and the Roland D-50, to the very latest synths like the Korg Minilogue XD and Moog One - as well as dozens of other user requested models. The FREE update will also include hundreds of inspiring new patches for all registered Omnisphere 2 users. Omnisphere’s renowned Arpeggiator has been greatly enhanced with all new creative tools, a brand new preset library and much more. The musical possibilities are vastly expanded, making it one of the most flexible arpeggiators ever, while still being fun to use. Best of all, Omnisphere 2.6 can now capture the MIDI data of what the arpeggiator is doing as a standard MIDI file, which can be dragged to any DAW for further editing! 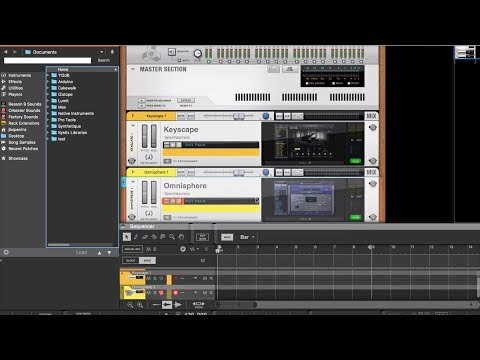 Omnisphere’s unique Hardware Synth Integration feature bridges the physical experience gap between software and hardware, giving users intuitive control of Omnisphere by using the familiar layout of their hardware synth. With the new 2.6 release, many requested hardware synth profiles have been added, including support for over 60 popular hardware synthesizers from Moog®, Sequential®, Roland®, Korg®, Novation®, Nord®, Behringer®, Access®, Studiologic® and Yamaha®. The supported hardware synths cover a wide array of form factors and price ranges for different types of users. 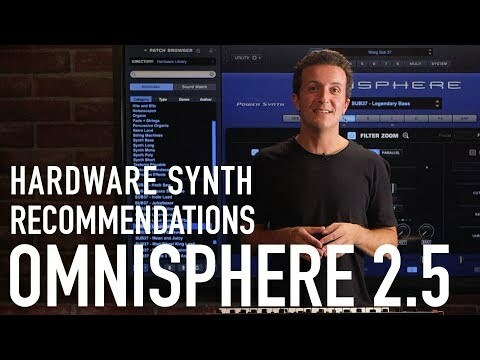 Omnisphere 2.6 features a newly expanded “Hardware Library” with hundreds of new patches created by Eric Persing and their renowned Sound Development team. Notably, this update takes Eric’s classic sound design work from the original 1987 Roland D-50 into completely new sonic territory with Omnisphere’s vast synthesis capabilities. Now includes over 10,000 sounds!